Typically, passive income is portrayed as a device for the rich to get richer. Those that have the money invest in passive investments such as rental units, property, big businesses, or large amounts of stocks that yield dividends. Each one of these investments can provide an excellent income with very little amounts of work, but they also need a large amount of up-front cash! So, how in the world do average Joes begin to earn a passive income? Many of us may not have the deep pockets of the wealthy, but what can we attain that also has value? I’m sure you have heard the phrase, “Time is money!” This statement says it all – we may not have the money to invest in real estate or a big business, but we most likely can invest our time. Rather than going out and buying a passive income source, we’ll have to build it. While this is by no means the conventional approach, it still can be quite effective. Let me try to explain myself with a few examples. You may not realize it, but a website is incredibly inexpensive to start. After you buy the domain and a years worth of web-hosting, you might only have $50 invested in your passive income project. While the website is cheap, the work has only just begun. In order to monetize this site, you’ll have to create content and optimize each article so that any search engine can locate it. This process can sometimes take months to perfect, but once it is ready, it hardly takes any maintenance and the income is quite steady. Selling insurance is certainly not simple. When people find out you sell insurance, they often become rude and short with you, because they assume that you’re getting ready to make a sales-pitch. Sometimes your friends start avoiding you because they’re afraid that you’ll start talking about your latest life insurance plan again! 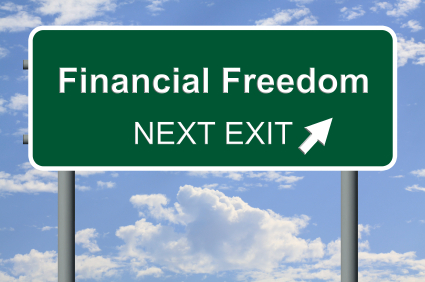 While it can be tough, selling life insurance can be a phenomenal source of passive income. After all, once you make a sale, you receive commissions on their premiums for life! What if you make 1,000 sales within your first few years? Then you can most likely lay back and just watch your bank account fill up with earnings. It takes time, but the potential for passive income is a great benefit. You may not know it, but there are thousands of products out there that are only offered through network marketing! If you have faith in a particular product and would like to help others make money as business owners, this could be a great way to earn some passive income as well. With this option, you will run into quite a lot of opposition. After all, this model is much different than your typical, “go to work and get paid” method. But, if you have the gift of enthusiasm and encouragement, you could build up a passive income that is limitless. Believe me, I’ve witnessed it. Just the other day, I saw a man carrying a snow shovel from house to house, asking the residents if they needed their driveways cleared. It seemed to me that he didn’t like selling his service, but just wanted to shovel their driveways and collect his $20. Immediately, I thought, “I could earn some passive income with this idea!” I could sell the service and set up service contracts before the snow flies next year and tell the man that I’ll pay him $15 per driveway with a guarantee of 15 houses for every snowfall – and he wouldn’t even have to talk with anyone. Because I made the sale early in the year, I’d collect $5 for each driveway, which equates to $75 per snowfall – all because I invested a little time and made a few phone calls. Passive income can be created with almost anything! How do you plan to earn a passive income? Is it with one of my examples above, or do you have some other ideas? Great post about passive income. Buy it or build a passive income. I have been building a passive income via real estate so I know exactly what you mean. It’s been challenging to say the least, but building it online ANYONE can do it and certainly on the cheap side with much less risk also. – Thanks for sharing!! Keep it up with the real estate investments. It’s a great form of passive income! Thanks Derek, one of my favorite forms of passive income. Snow shoveling is definitely a great way to make money. Or being a snow plow truck. I have friends who do that and make $1,000 a day EASILY. And they just pile their friends into a truck and make it a day (since no one else is usually on the road anyways, so it gets boring for them). It has hardly snowed here yet though. It sure is possible to make some good money with snow removal. Have your friends ever thought about how they could make the business passive? I like your example on how to make money setting up snow shoveling services – this is how I want to get my grandkids to think – not an easy task as I don’t typically come up with stuff like this! On network marketing, I assume you are talking about things like Mary Kay cosmentics. If so, I’ve seen lots of people try to climb that income pyramid but not many being successful at it. I’m glad I could help you out with some ideas! Your spot on Derek. The average person will not succeed, however with a different approach and working with companies that offer profit sharing models the odds are turned around for the average person. Good ideas. In the fall I was looking for ways of making extra money without taking on another “real job” and/or sacrificing time with my family, so I decided to start a blog after being inspired by a friend of mine. I’m still in the very early stages and learning about it, but I like the idea of being able to work whenever I want. This allows me to spend time with my daughter before she goes to bed and then even stay up after my wife goes to bed to work on the blog. I also often compose posts on the streetcar to and from work. I only really got serious in the new year and haven’t made any money yet, but I’ve read many times that you have to be patient and persistent. Awesome! I think you’ll love blogging, and in time, you’ll profit from it and you’ll be able to spend less time at it (if you so choose) while still making a reasonable income. It’s not a whole lot of money, but I make a few hundred dollars a year on royalties from past projects (publishing & audio). Still makes me smile to get those deposits, though. Hey, passive income is passive income, no matter what the total is. The point is, you’ve found a way to earn an income for past projects. Congrats! I’m definitely a fan of passive income, but I am not as interested in making niche websites, network marketing, or selling insurance. 🙁 I guess I have to get a little more creative regarding my plans! That snow shoveling idea is really quite intriguing to me derek – it just snowed here and there are tons of walks out there! I haven’t fully grasped the concept of what a niche blog is but I’ve had it on my to do list for awhile. I want to learn more about what exactly it is and if I can use my expertise in areas of education to make some passive income. I love the idea of setting up snow shoveling. You could do the same with cutting grass too. if you do the leg work up front, it would be great for someone who is too timid or shy to go door to door. I have some passive income with a large freelance project I got. It pays $1.50 per item and I’ve outsourced it at $1.00 per. I’m doing none of the work and making $500 for the job! Sounds like you’ve got an awesome freelance project on your hands! Congrats! That’s why I like to invest in dividend stocks. Right now the passive income is being reinvested into the stocks, but when retirement rolls around, I’ll collect that passive income. Everywhere I go these days, blogs are talking about passive income 🙂 It looks like it suddenly got popular. I would love to set something up that will provide me with even little passive income. I just have not figured out what or how. I will have to keep working on it. Of course it got popular! People hear that they can make money by doing nothing! Ha, well, there’s definitely more work involved than that, but it is nice to receive checks well after you’ve done the work. Cool- I’m quite interested in niche websites but it does seem like a big project (well initially anyways). It does take some time, but if you’ve built a website before, it’s really not that bad. Plus, once it’s set up, there is very little maintenance involved! Derek, smart suggestions. Do you make a difference between ‘passive’ and ‘automated’ income though? It seems to me that at least three of the examples on your list need continuous although not intensive work. I’d say that you can walk away from these projects and only need perform maintenance once in a while. That’s what I consider passive income. There aren’t too many forms of income these days that you can truly leave for 10 years and find that it’s still a well-oiled machine. Passive income is indeed popular. I am hopeful that in a year or so the house we are currently in will be the first of what would be multiple rental homes. The rental market in Austin is hot. I have an interest in network marketing, but of a different sort. There is a daily deal site that blends a daily deal business model with a 5 level network (it is not a perpetually growing network). The idea is that you earn 2% from purchases of those in your network (the company pays out 10% of ever deal to the members of the network @ 2% per level). From a merchant perspective it allows a way to monitize a mailing list (of those who opt-in) and continue to earn long after the first deal they purchase. A friend of mine has an inflatable indoor play ground business. He is in my network. The other day I made $30 off of 16 cent deals that his business sold on the deal site ( the deal was $8.00, but I made 16 cents or 2% per). I’m averaging about $40 a month…not much, but I haven’t done anything other than invite people via email and seen them also invite their friends. To my knowledge, it is bloggers (especially mommy bloggers and coupon bloggers) who have made the most via this network passive income model. I think it would be totally appropriate for blogs. I am happy to invite you to join, but don’t want to be accused of spamming. Great post! I use dividend stocks to earn passive income. mm passive income sounds like such a wonderful thing! the niche blog thing sounds like a great idea but so many things become quickly outdated and it sounds like a lot of work, can it really be worth it? exploring this is on my list of projects to look at when/if I’m un(der)employed.